New survey data from SCORE shows small businesses’ increasing reliance on part-time and gig workers this holiday season. Small business owners reported a 37% increase in hiring gig workers over the past six months (more than any other type of worker), citing specialized expertise and temporary/seasonal needs as top reasons for hiring this part-time or temporary help. This infographic below accompanies the latest installment of SCORE’s Megaphone of Main Street data report series, which presents original, statistically-significant survey data on the American small business landscape. 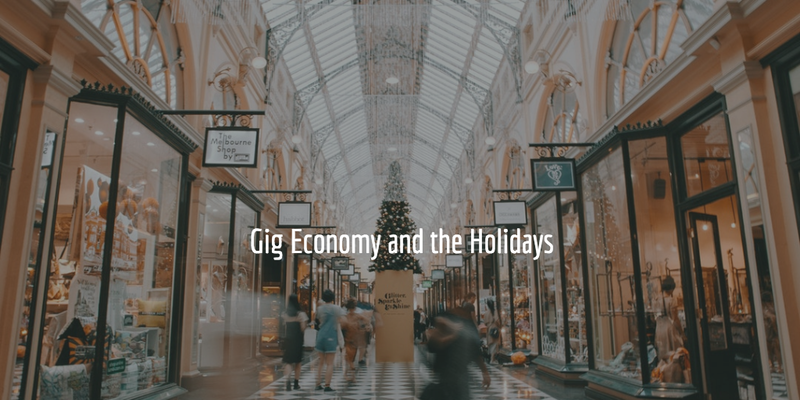 Small business owners reported a hiring increase in all categories of workers over the past six months, but the greatest growth was seen in gig workers (37% increase), followed by part-time employees (22% increase). 20% of small business owners reported replacing employees (of any type) with contractors. 47% of non-employer/solopreneur firms reported hiring other part-time workers, for an average of 3.2 workers (including the owner). Top reasons business owners hire a contractor/temporary worker versus an employee include specialized expertise (50.8%), temporary or seasonal needs (41%), and cash reserves to comfortably make payroll (35.1%). The top business functions outsourced to contactors are technology (42%), accounting (41%) and marketing (38%). Business owners reported that top reasons to hire an employee include consistency of work (57%), followed by a full-time worker’s commitment to the company, vision and brand (53%).